The LED Stealth 3 Visor Lights are two separate units of lights each with 5 strong, polycarbonate chambers and lenses that are scratch resistant and shatterproof. Each chamber has 3 Generation IV 3-Watt bulbs equaling 90 Watts of LED light. 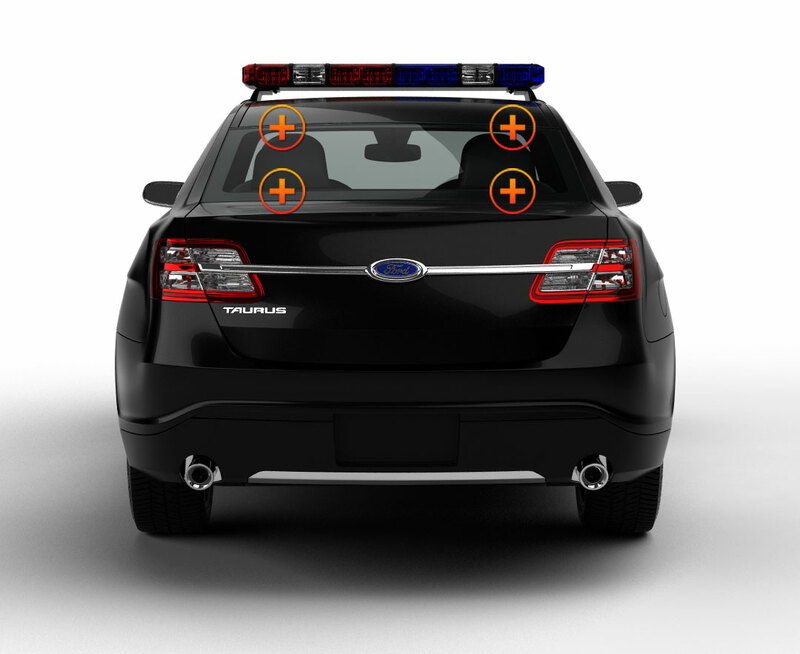 Because these 17” powerhouses are hidden at visor level, they are perfect for police undercover vehicles. You and your vehicle will remain in Stealth-Mode and won’t be noticed until you hit the ON switch; then your target will be flooded with light! The digital LED Controller is built into the back of the driver’s unit and is easy to reach and to operate. The 26 flash patterns are in sequence with the press of a button; the one in use is shown in lights on the back of the box as is the ON/OFF button and the MOVE LEFT and MOVE RIGHT buttons for smooth, efficient traffic direction. Optional takedown lights are available for an additional $20. The Stealth 3 power cord plugs into the lighter and is for interior use ONLY: it can also be mounted on the rear window. 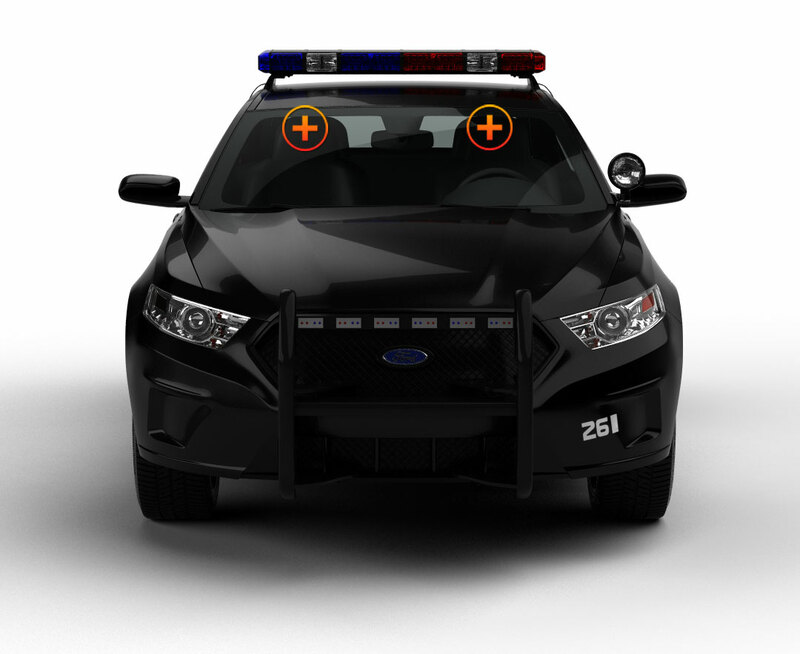 The LED Stealth 3 Visor Light can also be hardwired to your existing emergency led light system by following the instructions in the Knowledge Base portion of ETD’s website. Durability, Reliability, High-Performance, and Value...Now THAT’S a winning combination and THAT’S what Extreme Tactical Dynamics gives YOU time and time again when you buy one of our lights! Recently purchased this for my POV. Very happy with the service and quality of this light. A own a security company and have bought five of these units for our security cars all in green and amber color. They are super bright and my guys have no problem being seen on the road. Very bright lights !!! I love this light ! 5 stars ! They look great behind the windshield of my 08 impala.. Installed a set of these in my 2012 Dodge Charger. Went with Amber and White. Very visible during the day. They line up perfectly. Love Extreme Tactical's Products. I also run a TIR 6 Deck with Red and Amber for the back window also by Extreme Tactical. Great combination and visibility is top notch! The light visors great had some difficulty putting it in my f150 but with some adjustments worked just fine. It's bright moves traffic.